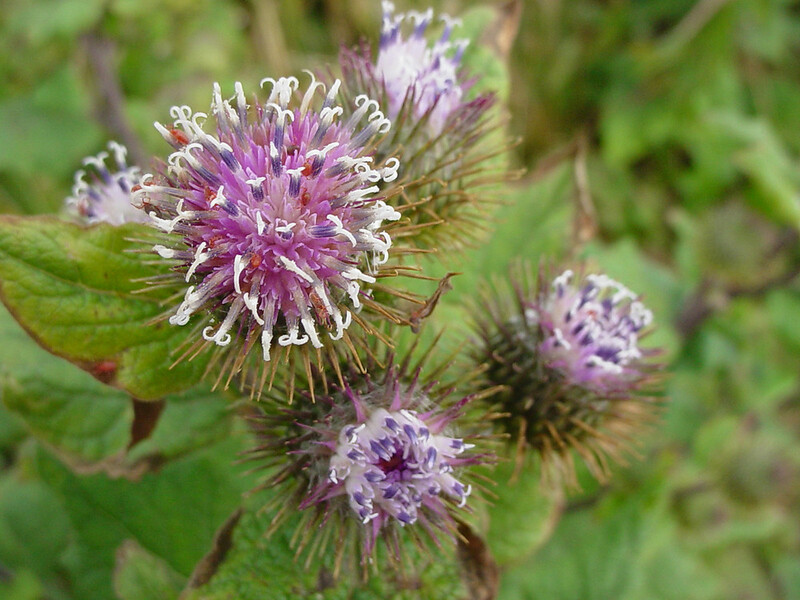 Great burdock is introduced from Eurasia and widely naturalized in North America. 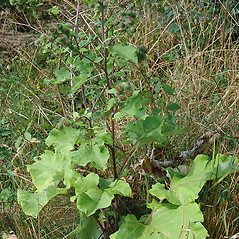 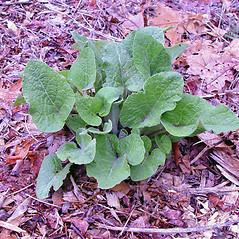 Like common burdock (Arctium minus) the taproots and young shoots are edible, and it is sometimes grown as a minor crop. 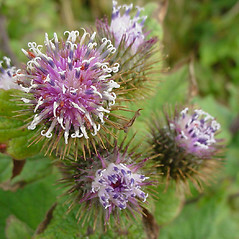 Extracts are sold as food supplements, to treat skin conditions such as acne, sores, and exzema. 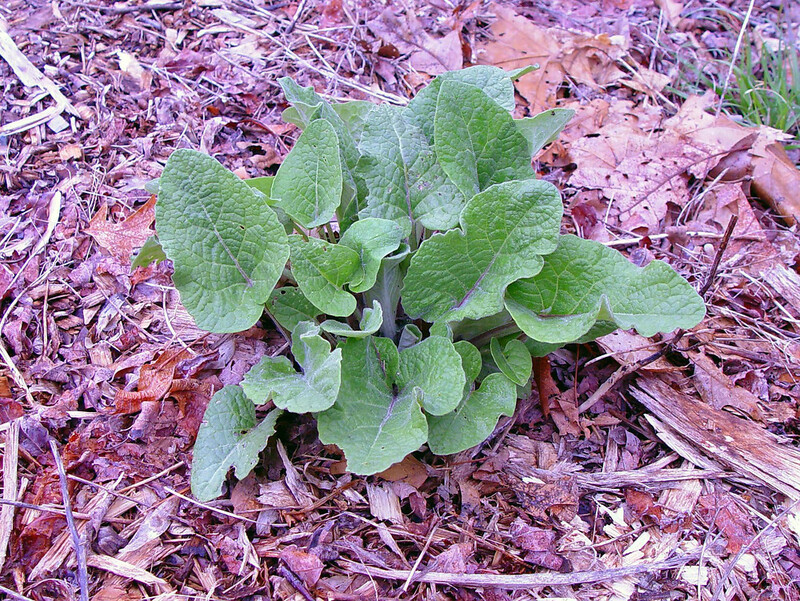 It is also considered an immune system stimulator. 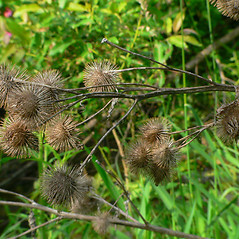 bur-like flower heads 15-25 mm wide and array of flower heads not flat-topped (vs. A. lappa, with bur-like flower heads 25-45 mm wide and array of flower heads flat-topped). 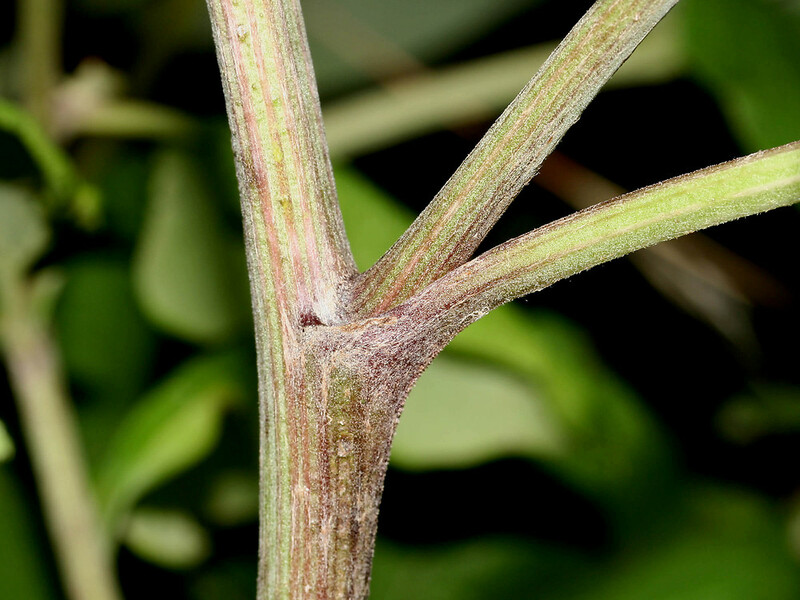 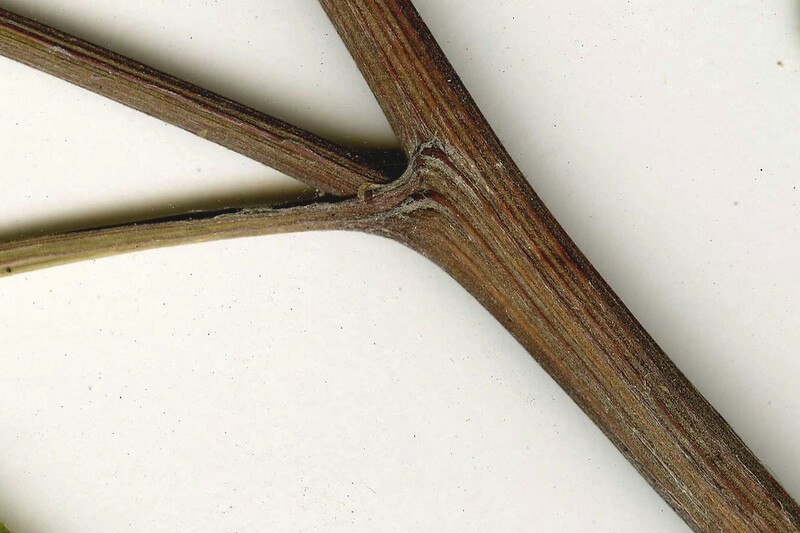 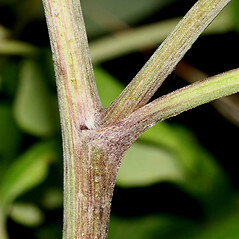 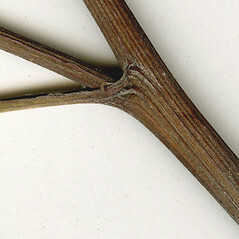 involucres 15-25 mm wide, the bracts tomentose, and corollas glandular pubescent (vs. A. lappa, with involucres 25-45 mm wide, the bracts glabrous or thinly pubescent, and corollas glabrous). 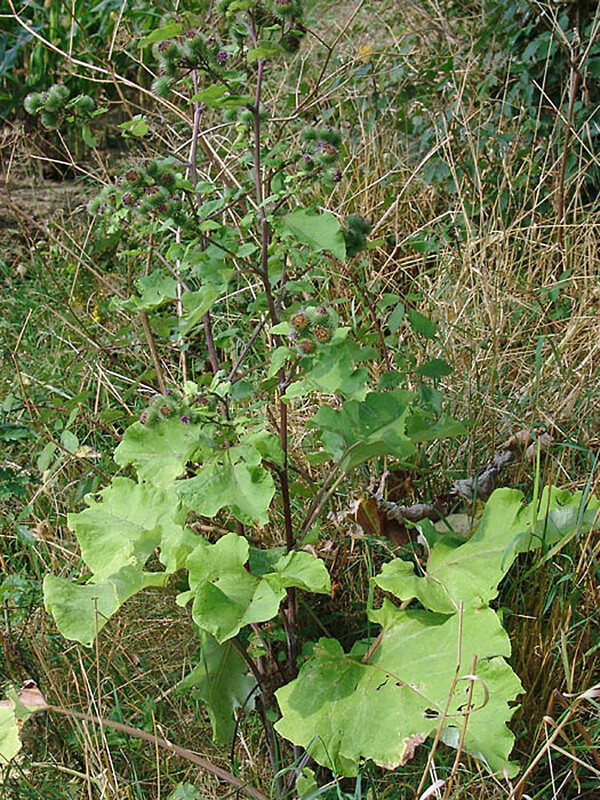 great burdock. 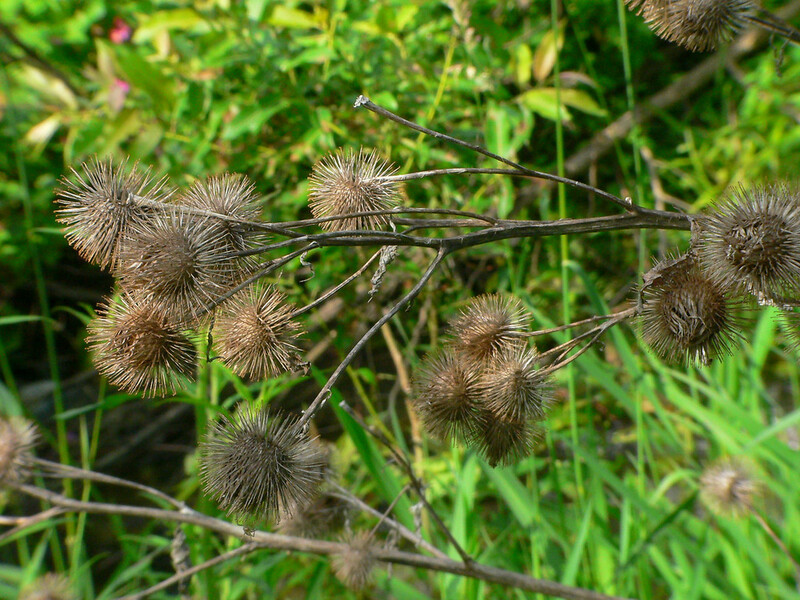 CT, MA, ME, NH, RI, VT. Fields, roadsides, vacant lots.